If you are looking for a list of free awesome SEO tools that will help you boost the quality and productivity of your work, you are in the right place. Below I compiled favorite tools of SEO community members along with my own suggestions. BTW, you are also welcome to participate and contribute to the list. Please get ready, we are getting started. UberSuggest — Can find hundreds of keyword ideas from a seed keyword for you. It doesn’t require to sign-up. You can export all keywords to a CSV file. I recommend you to try out the awesome word cloud feature. UberSuggest has a couple of very similar alternatives. They are Keyword.io and Google Keyword Suggest Tool. Answer the Public – The tool fetches Google Autocomplete queries in bulk and sorts them out into various lists. It is really useful if you want to cover the questions people are actually asking in Google. Hemingway Editor — I use this tool myself and believe it’s an absolute must for bloggers. It highlights sentences that are difficult to read, “weak” words, and so on. Getting rid of stuff like that significantly improves the clarity of your writing. Soovle — The tool scours Google, Bing, Yahoo, Wikipedia, Amazon, YouTube, and Answers.com and gathers hundreds of keyword ideas from a seed keyword. It’s rather powerful, although the UI leaves much to be desired. 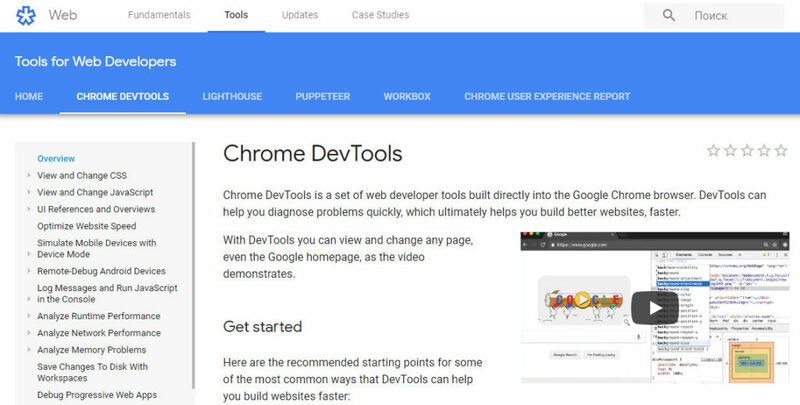 Chrome Developer Tools — This is the built-in Google Chrome’s web page debugging tool. You can use it to debug page speed issues, improve web page rendering performance, and many more. Actually, it has endless possibilities from a technical SEO point. Beam Us Up — This is an SEO crawling software. It’s safe to say that it is a great free alternative to Screaming Frog. The tool integrates with Excel and Google Drive but is only available for Windows. Google Keyword Planner / Trends / Webmaster Tools / Analytics / Sheets — All these are must-use SEO tools for all marketers. You can find and research keywords with Keyword Planner and track the Trends. Webmaster Tools will help you identify and fix website issues. Use Analytics to figure out how many people are visiting your website, who they are, and where they come from. Gather, process, and analyze all kinds of SEO-related data with Sheets. Bing Webmaster Tools — This is Bing’s official toolkit for webmasters. It is very similar to Google Webmaster Tools. The suite is complemented by a sitemap, identify issues with web pages, and some other features. LSIgraph.com — LSI is an abbreviation for Latent Semantic Indexing. The tool is LSI keywords generator. When you enter a seed keyword into it, it generates a list of LSI keywords, which are keywords and topics semantically related to it. BTW, TextOptimizer does almost the same job. Keyword Shitter — The tool will generate hundreds and thousands of keyword suggestions from your seed keyword(s). Requires no sign-up. Allows downloading all keyword suggestions to a .txt file in a click. SERPs.com’s Keyword Research Tool — Use the tool to find thousands of keywords in seconds. Filter them and export to a CSV file. The tool doesn’t require to sign-up. Small SEO Tools Plagiarism Checker — Use this tool if you need to identify those who’ve stolen/copied your work without attribution. The checker scans billions of documents across the web for you. Bulk Webpage Word Counter (by SEO Review Tools) — Bulk does exactly what it says on the tin, checks word count for up to 10 URLs. Google SERP Snippet Optimization Tool — The tool helps to avoid truncation issues with meta titles and descriptions identifying them. It also generates a live preview of the current look of your web pages in Google search results. The tool by SEOMofo.com does the same. CoSchedule’s Headline Analyzer also shows how your title tag looks in the SERPs. Besides, it gives you advice on how to make improvements and get more clicks. SEO Hero — Use this tool to finds all concepts, entities and N-Gram’s related to your topic or keyword. In other words, the tool uncovers “LSI Keywords”. You can add them to your content to increase its relevancy. iSearchFrom.com — The tool lets you emulate a Google search using any location, device, or language. Customise everything you need – from SafeSearch settings to personalized search. RankTank.org — These are open source “DIY” SEO tools built into Google Sheets. Delim.co — The tool allows to convert a comma-delimited list, in other words, CSV, in a matter of seconds. Delim can be used not for SEO purposes only, but it may be helpful in many SEO-related tasks. Keyworddit — The tool pulls out the most frequently used keywords and phrases from any subreddit. Additionally, it provides the monthly search volume for each keyword. Drop My Link — The tool combines your keywords with advanced Google search operators to show you link building opportunities. It is great for finding guest post opportunities, link/resource pages, link roundups, etc. What does my site cost? — Would you like to know how much it costs a person to visit your website on mobile round the globe? The report is very insightful for people got used to unlimited 50 mbps+ 4G web browsing. Keep-alive Validation SEO Tool — The tool enables you to check if a website/websites support a persistent connection. The ones that do load faster than those that don’t. Am I Responsive? — The tool shows you how a website looks on the desktop, laptop, tablet, and mobile. This way you can check its responsiveness. HEADMasterSEO — The tool checks response time, response headers, and HTTP header fields (X-Robots-Tag, Link, Vary). Offers filtering and a bunch of other advanced features. All you need to do is simply bulk status code (e.g. 200, 301, 404, etc.) and redirect checker. Varvy — The tool checks whether a web page is following Google’s guidelines. It prompts you what you need to fix in case your website drops short. SERPLab — This is a free Google rankings checker. It updates up to 50 keywords every 24 hours if server permits. JSON-LD Schema Generator — JSON-LD schema is a markup generator. It supports six markup types at the moment. They include product, local business, event, and organization. KnowEm Social Media Optimizer — The tool analyses your web page to see if it’s optimized for social sharing well enough. It checks for markup from Facebook, Google+, Twitter, and LinkedIn. Where Goes? — The tool shows the entire route of meta-refreshes and redirects for any URL. It is extremely useful for diagnosing link issues like complex redirect chains, for instance. Search & Extract Twitter Users + “Find Influencers in Any Niche” — Use this tool to find influencers who have shared any piece of content on Twitter during the last 7 days. It is also useful for finding influencers who have shared content from a particular domain or on a particular topic. Detailed is another tool that analyses the last 2K tweets for any Twitter account so that you could see who influences a particular person. Google Business Review Link Generator — The tool generates a direct link to your Google Business listing. It gives you the opportunity to choose between a link to all current Google reviews and a pre-filled 5-star review box. Side Note: SEO tools significantly simplify our lives, however, no tool can replace the human mind. We should have at least basic SEO knowledge to succeed. Watch this video to learn major SEO tips that ACTUALLY work in 2018 and Beyond. Putting this list together I got to know about some new cool SEO tools myself, so I hope the compilation was useful for you either. Maybe you will even bookmark it in order to have free SEO tools at hand whenever you need some of them. Would you help me keep these list up-to-date? Please feel free to point out to the tools I have missed/your favorites/new discoveries in the comments. Helga Moreno is a passionate content creator and marketer at Ahrefs bold enough to believe that if there’s a book that she wants to read, but it hasn’t been written yet, then she must write it herself. SEO Gurus: Are You Keyword Tracking?